Mindhunter has some new company. According to The Playlist, Andrew Dominik and Carl Franklin will direct season two of the Netflix TV show alongside David Fincher. 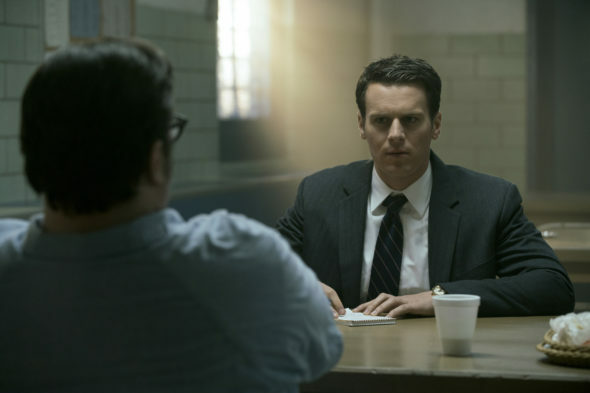 The crime drama centers on FBI Agent Holden Ford (Jonathan Groff), who realizes the bureau needs a deeper understanding of violent psychopaths’ motivations. The cast also includes Holt McCallanay, Anna Torv, Hannah Gross, Cotter Smith, Stacey Roca, Joe Tuttle, Alex Morf, Duke Lafoon, Peter Murnik, Sonny Valicenti, Cameron Britton, and Happy Anderson. As reported earlier, season two of Mindhunter will explore the Atlanta child murders of the 1970s and ’80s. Fincher, who also executive produces the Netflix series, will helm the season premiere and finale while Dominik and Franklin direct the remaining episodes. What do you think? Have you seen Mindhunter? Will you watch season two?